Founded in 2008, we are family photography specialist with love and passion. May we introduce you our wonderful staffs, they keen on making you as memorable as possible during your shooting experience at SENS Studio. 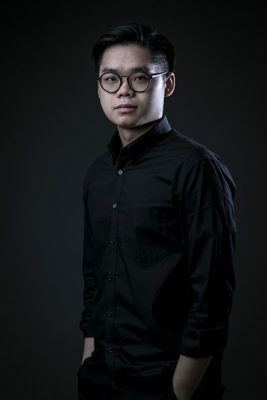 SENS Studio’s Chief Photographer plus Tsuen Wan Branch Supervisor, Roy Lee, has the strong basis of photography skill, his style will be adjusted depends on the personalities of the participants. He is an expert in wedding and pregnancy photography. In his photographer lifetime, he witnessed the milestones of numerous families. From pregnancy to newborn, newborn to kids, kids to graduation, graduation and wedding, a cycle of life can be seen. Roy as an experienced photographer, he understands the foundation and adaptation ability is a core during the process, however, the preparation and involvement of participants are also important factors. Therefore, throughout the communication process, he understands the needs and thoughts of participants which makes the best result. 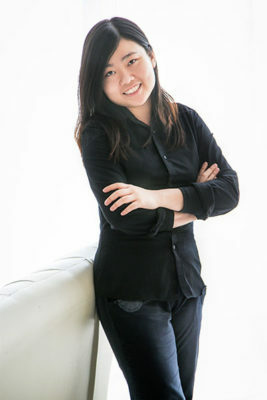 Min Liu is our Senior Photographer and Kwun Tong Branch Supervisor. She has a moody and stylish shooting style. For Min, photography is more than a professional, it is also about her life. Pictures are the time machines, they can recall your memories and back to the time that the pictures were taken and feel again the moment. Min used to apply her feminine angle to record the stories behind. Ricky Chan is an optimistic photographer which can tell directly from his works. Apart from his lively side, he also has a delicate characteristic. Ricky knows the importance of timing for photography, significant moments of life are easily missed. “Photography can never be the same”, Chi said, one of the senior photographers of SENS Studio. He thinks that bringing happiness to participants is one of the responsibilities of a professional photographer. The chemistry of interaction between participants and the photographer can construct a joyful atmosphere and allow them enjoy the process of shooting which will make the best result. As one of the senior photographers of SENS Studio and worked over 6 years, Frankie believes photography can not only depends on the control of Aperture and Shutter, but also focus on the meaning behind the photos. Time is irreversible, Frankie would like to capture every moments of life. His personal tips for shooting smoothly is enhancing the atmosphere to encourage the involvement of participants. 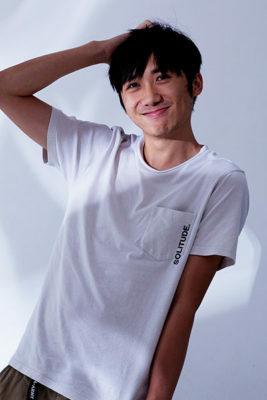 In the 8 years of photography, Jacky Wong has been go through different categories, Wedding, product and now portrait. Jacky has his specific angles to capture the interaction and the emotions of participants, the responsibility of photographer is magnifying the feelings and relationship between one and others. Tom Chan, our outdoor shooting specialist photographer. Apart from family photographer, he also well-experienced in wedding photography as well. Tom loves kids and pets, as he keeps seven cats in his house. Thus, Tom understands caring and being patient are very important in take care both kids and pets. He loves their lovely face so much. Tom hopes to capture every touching moment for every family through his lens and the kids can remember the childhood again when they grow up. Graduated in Hong Kong Design Institute and completed the Higher Diploma in Film and Television. Passionated in videography and editing, had been recorded and edited the video for large organizations and underground band. SENS Studio is a playground that full of laughter and joyfulness. Being a SENS videographer, keeping the precious moment for client is my pleasure. Time is fleeting as well as memory, people usually forget those precious memories easily. Spica hopes using camera to record the happiest and the most funny moment for client, at the same time applying my knowledge to present the video in a funny way. Kelvin believes that photography has no immutable laws, on the contrary, it is full of countless possibilities. He hopes to get rid of the inherent mode, look at things from a new angle, and he want to incorporate fashion style into a warm family photo. In his works, it is not difficult to see his photos full of aestheticism and the sense of times. Valerie is good at shooting the most natural side from the perspective of children. She enjoys playing with children before shooting and becoming their playmates. “When children are having fun, we will take pictures of them unexpectedly, so that we can capture those children’s most natural smile in front of the camera.” Valerie said. Their role is to consult and offer expertise. Our art consultant helped choosing high quality photos and products for clients, using their talented knowledge and connoisseurship. Our reception team is full of Joy and energetic. They welcome visitors by greeting them, in person or on the telephone; answering or referring inquiries. Their gentle and emphatic attitude to our valued customers are unique. They dedicated to providing the best possible customer services with passion, seriousness and kindness. Our design team is full of creative and talented. They will provide intimate design services for customers, and then produce photo frames, albums and other products for home decoration. It usually needs 90 working days for production. After your products are finished, we will inform you by sending a SMS, kindly please prepare your own shopping bag.